As far as dress codes go, summer is a tricky time. Men, especially, have a tendency to go too far to the relaxed end of the spectrum, getting themselves into trouble by dressing inappropriately. We’ve created a list of seven items that should be best avoided, as well as exactly what they should be replaced with in the warmer weather. These seven simple upgrades will take your summer wardrobe to the next level. DON'T: Wear a Hawaiian shirt to work. 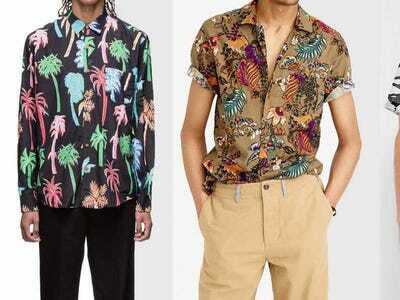 Hawaiian-style aloha shirts in subtle patterns and colours are trending these days, taking over the footpaths and bars with their pronounced style. One place they're not taking over: the office. DO: Wear a solid button-up in short sleeves. But just because the patterns of Hawaiian shirts are too much for the office doesn't mean short-sleeved shirts themselves are. These days, offices are casual enough in the summer to allow for short-sleeved shirts, without running afoul of established dress norms. Make short-sleeved shirts a staple of your work and weekend wardrobe this summer. Just make sure you follow our guide to looking good in a short-sleeved shirt. Sandals -- either with (shudder) or without socks -- are completely unacceptable for men. Your toes and feet should be covered at all times while indoors, even in the summer. We've said it before, and we'll say it again: wearing open-toed shoes is disgusting unless you're on the beach, or going to the beach. Instead, wear literally anything else that will keep your toes firmly within the confines of your shoe. DON'T: Wear shorts to work. The debate rages, though it never should have begun in the first place. No, you can't wear shorts to work, even if you work in the most casual of casual offices. 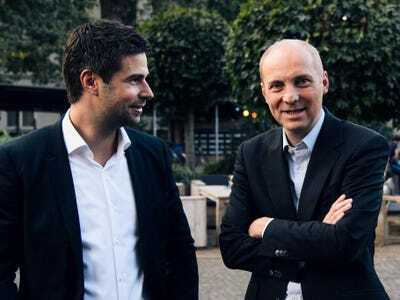 It's just too informal of a style, and it can create awkward situations in an office environment. Keep your legs covered at all times of the year. But just because you can't wear shorts doesn't mean you need to roast all summer. Lightweight pants will be your saviour, keeping you both cool and appropriate this summer. 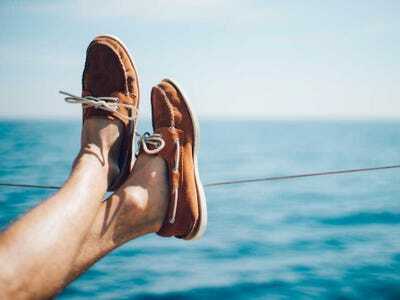 Boat shoes are casual shoes meant to be worn on yachts. They don't look quite right with pants, and have a tendency to look beat-up and juvenile. DO: Wear other loafer-style shoes. 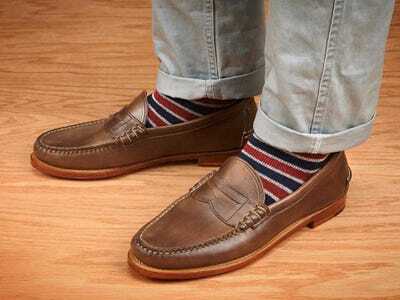 Instead, wear an upscale pair of any other kind of moc-toed loafer-style shoe. 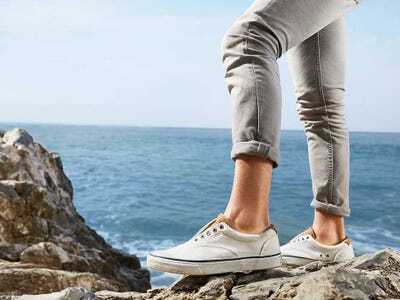 They ditch the sporty styling of the boat shoe, but keep everything that makes it such a summer staple, like a low profile that looks great with no-show socks. Sure, it would be great if we could all wear our athletic shoes all the time, but it's just not possible. Even the most basic and stylish ones have a certain sporty aesthetic that doesn't belong outside of the gym. DO: Wear simple white sneakers. Instead, opt for another summer staple: the plain white leather sneaker. 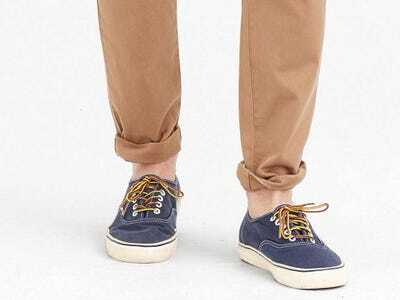 These have been super popular for a few years now, and as long as they're relatively clean and in good shape, they can be worn in a variety of summer situations. It's definitely tempting to go sans socks, but we'd advise against it. Not wearing socks means potentially leaving your feet smelly and offensive to your friends and coworkers. Instead, take advantage of the sock that was designed to keep your foot sweat-free without being seen. It's called the loafer sock, and it's an indispensable tool in combatting summer sweat. Wool is just too heavy a fabric for the summer. Even on the coolest days of the season, you'll still be sweating like crazy. DO: Wear suits in lighter fabrics. Instead, decide on a more summer-appropriate fabric for your jackets, like linen or a lighter cotton. 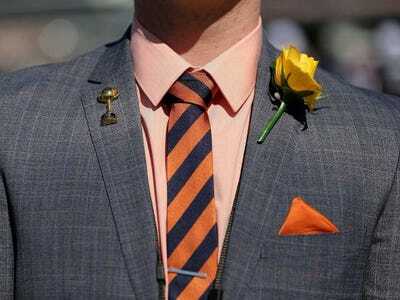 These are less formal options than wool, but are suitable for some more casual offices and summer weddings.